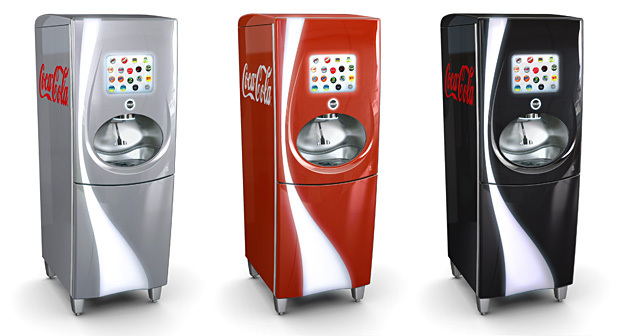 Have you ever seen a Coke Freestyle machine? Long story short, I once upon a time dated a man who wouldn't let me have soda. I never even liked soda. Heck, I drink about a gallon of water (or more) per day. But when he and I broke up, I decided soda was for me. Unfortunately, I've never gone back. I still drink a gallon of water a day, don't worry! 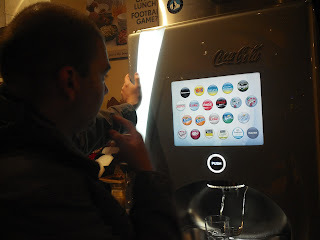 Anyway - Coke Freestyle lets you create over 100 combinations of your favorite flavors of sodas, all using a futuristic touch screen. Sold. 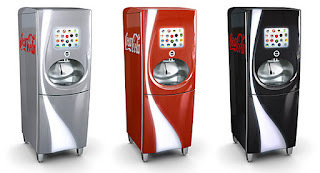 My favorite, in case you are wondering, is Raspberry Diet Coke. I'm so smitten, I try to get all my friends to try it too. Last month, Dallas and I went to Noodles and Company for a little catch-up chat and I introduced him to my love. 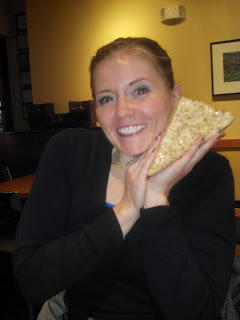 We stayed so long that the restaurant gifted us free rice crispy treats as big as my face. That's what I'm talkin' 'bout. Wouldn't let you have soda? Not a boyfriend worth keeping. I've heard of the machines and even seen a line in front of one, but haven't yet tried it. Thank you for the flavor reccomendation - that'll give me a place to start!